Radio Spirits » Blog Archive » Happy Birthday, Bennett Kilpack! Posted on February 6, 2019, 8:00 am, by Ivan G. Shreve, Jr., under Birthday, Classic movies, Radio crime, Radio drama, Radio mystery. During his long-running stint as the titular sleuth on Mr. Keen, Tracer of Lost Persons, actor Bennett Kilpack—born William Bennett Kilpack on this date in 1883 in Long Melford, Suffolk in the United Kingdom—was so well identified as the “kindly old investigator” that much of his fan mail from loyal listeners was addressed simply to his character’s name. Those letters came from all walks of life, from teenage girls looking for assistance in finding vanished boyfriends to more serious-minded folk whose spouses (or other relatives) may have gone out for a pack of cigarettes and never came back. Kilpack’s second wife, Dorothy Young Schisler Kilpack, remembered in a 1949 Radio Mirror essay that there was once “a letter from the Middle West which enclosed, carefully wrapped in waxed paper, twenty-five four-leaf clovers, and one five-leaf—’to bring you continued good luck, dear Mr. Keen, in tracing lost persons and bringing murderers to the bar of justice.’” Saints preserve us! Bennett Kilpack, the son of minister William Gilbert Kilpack and Maria Theresia Hennequin, didn’t relocate to this side of the pond until 1908. Prior to this move, his ambition to be an actor manifested itself early on with avid participation in plays performed at the London Oratory School. So why, upon entering college at Finsbury Technical, did he choose as his vocation electrical engineering? It seems that Father Kilpack had a poor opinion of the theatrical profession. His son later recalled that his father “gave me to understand that a Kilpack as an actor was a Kilpack better dead!” Bennett emigrated to Canada to apprentice in a locomotive factory, and later became an engineer for the Canadian Pacific Railway in Montreal. Kilpack would eventually take up stage work after a search for engineering jobs in the U.S. proved fruitless. His first acting gig would find him playing Cassio in Othello, but his time on the stage (appearing in productions of Samson and Kismet) would be temporarily interrupted by World War I. When he enlisted in Canada’s Royal Flying Corps, he was made head of the salvage department at a flying field due to his engineering background. Once demobbed, Bennett returned to acting, securing work with Sir Philip Ben Greet’s Shakespearean troupe. He would also grace the casts of several Broadway productions, among them Thursday Evening (which he also directed) and Hot Pan. Bennett Kilpack’s introduction to the medium that made him famous came in 1927, when he played the male lead in an early radio serial called The Wayward Inn. Radio impresario Phillips H. Lord cast Bennett as Cephus Peters in his popular Sunday Night at Seth Parker’s program, and later made use of the actor’s talents on Gang Busters. 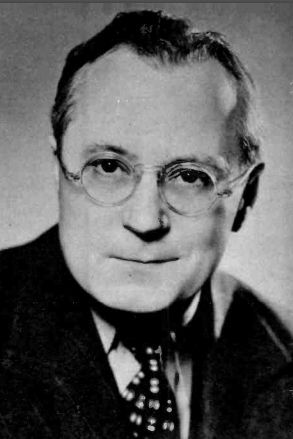 Kilpack’s work on Seth Parker garnered him his sole movie credit, as he reprised his role of Cephus in the 1931 feature Way Back Home. According to his obituary in the New York Times (upon his passing in 1962), he recommended Bette Davis for a part in that film, which became one of her earliest silver screen showcases. On radio, Kilpack also made the rounds on such shows as Dr. Christian, The Goldbergs, Grand Central Station, Radio Guild, Ripley’s Believe It or Not, The Shadow, and Vanished Voices. 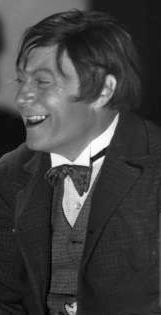 In addition, Bennett worked on many daytime dramas; he starred as the small-town druggist struggling to keep a watchful eye on his three offspring on CBS’ Doc Barclay’s Daughters, and had substantial roles on David Harum (as James Benson), Hilltop House, and Young Widder Brown (Uncle Josh). The role that kept our birthday boy the busiest, however, was Mr. Keen. Mr. 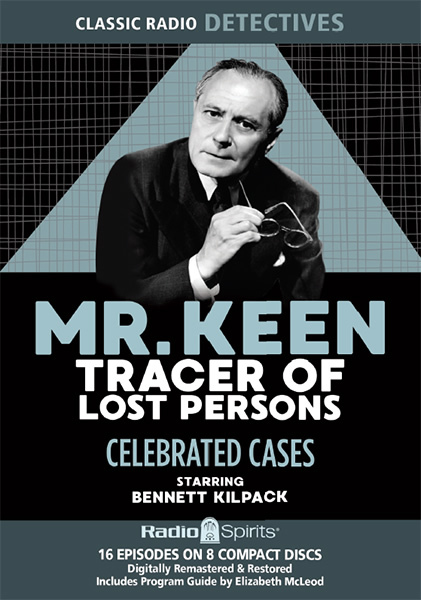 Keen, Tracer of Lost Persons premiered on NBC Blue as a thrice-weekly quarter-hour that aired in the evenings. 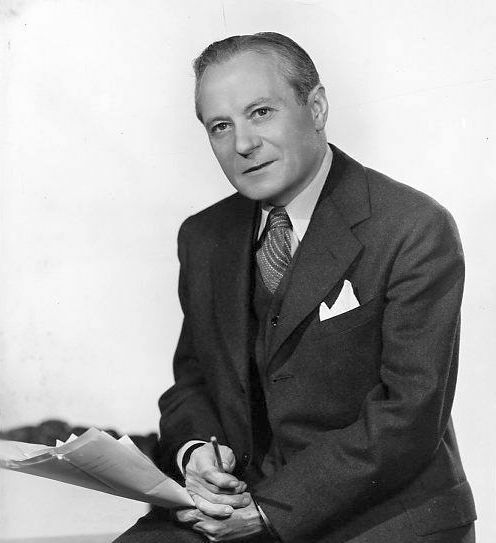 It sported a few “soap opera” trappings owing to the fact that it was produced by Anne and Frank Hummert, whose radio “suds factory” was responsible for such shows as Ma Perkins and Our Gal Sunday. In the early serialized years of the show, Mr. Keen (he apparently never bothered to hunt for his first name) diligently tracked down missing individuals, hired to do so by their friends or family members. Keen was assisted by Mike Clancy, an Irish bodyguard who wouldn’t be bringing potato salad to the MENSA picnic anytime soon, but nevertheless was the subject of Mr. Keen’s infinite patience and loyalty. 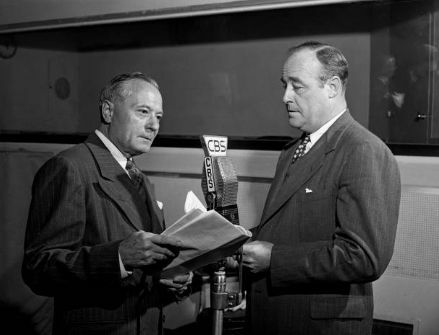 The program’s format switch to a weekly half-hour in the fall of 1944 (it had jumped networks to CBS a year earlier) found Keen and Clancy in more of a murder investigation mode (as opposed to the missing persons racket). Mr. Keen continued to be quite popular with radio listeners…even if some of the methods the duo employed might have raised the antennae of the ACLU. As I noted in a 2015 essay on Keen’s anniversary: “They rarely reported any of their conversations with witnesses and/or suspects to the police; they trampled crime scenes with little regard for search warrants—they even snatched up objects in evidence, contaminating them with their fingerprints. 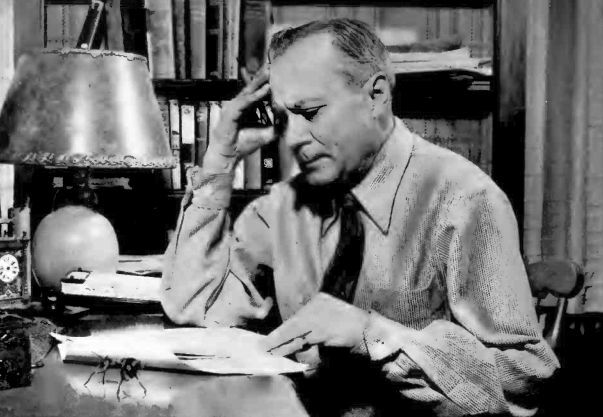 Keen was even able to arrest the guilty party at the end of each episode, despite having no authority to make such collars.“ But hey—it’s a radio crime drama, not a documentary! Kilpack would play Mr. Keen until 1950…and in 1962, left this world for a better one after succumbing to cancer at the age of 79. Our 4-CD history of The Shadow—The Story of The Shadow—features a March 30, 1938 broadcast (“The White Legion”). The legendary Orson Welles stars as the invisible hero, but you’ll also hear Bennett Kilpack among that episode’s supporting cast. Radio Spirits also invites you to check out Celebrated Cases, an 8-CD set with sixteen vintage broadcasts from the show that generated all that fan mail for Mr. Kilpack: Mr. Keen, Tracer of Lost Persons. Happy birthday, Bennett!